I love drinking juices and I am really happy with the purchase. 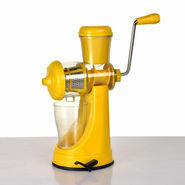 What a better way to gift this wonderful juicer who is fitness freak. Quality is nice and also it was delivered on time.